Today we shipped a bunch of our newly prepared protein crystals to be analyzed on the synchrotron. The process of getting crystals is not exactly science… It is a form of art and I am in awe of all those people who have contributed (over the years) to streamlining this process. Below I am showing one of the results of today’s work. 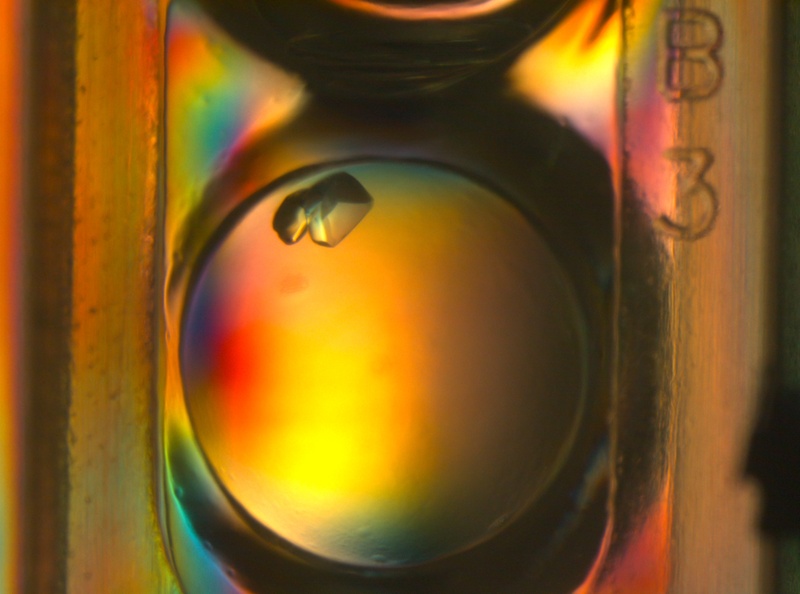 The size of the well is about 2.5mm, which makes the crystal about 0.5mm (I guess… Give or take…). We got this bad boy shipped out, the results should be back on Friday. This, by the way, is by no means the final product! In fact, we needed to painstakingly fish out this crystal with a micro-lasso sort of a tool (below), suspend it in special oil to get rid of water, and rapidly freeze it in liquid nitrogen (all the while trying to avoid the crystal from forming cracks). 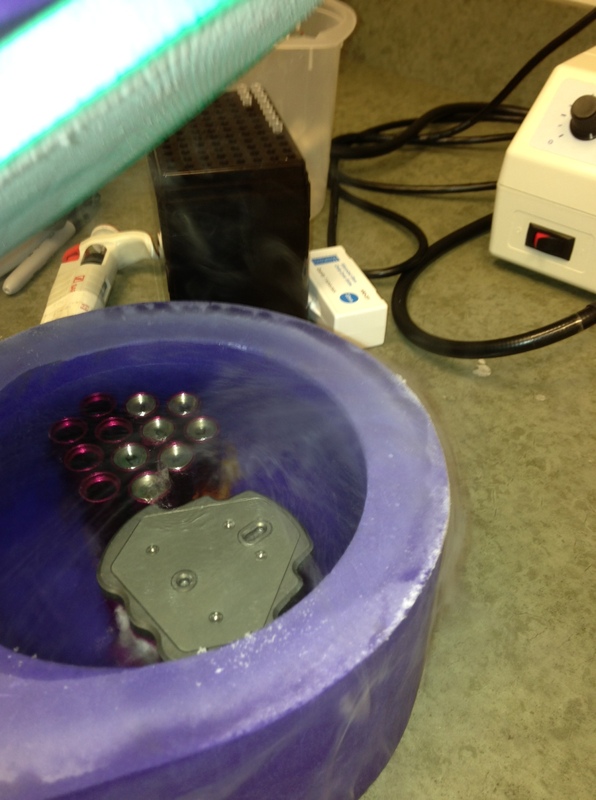 You can see the holder with mounted crystals immersed in liquid nitrogen in the photo below. 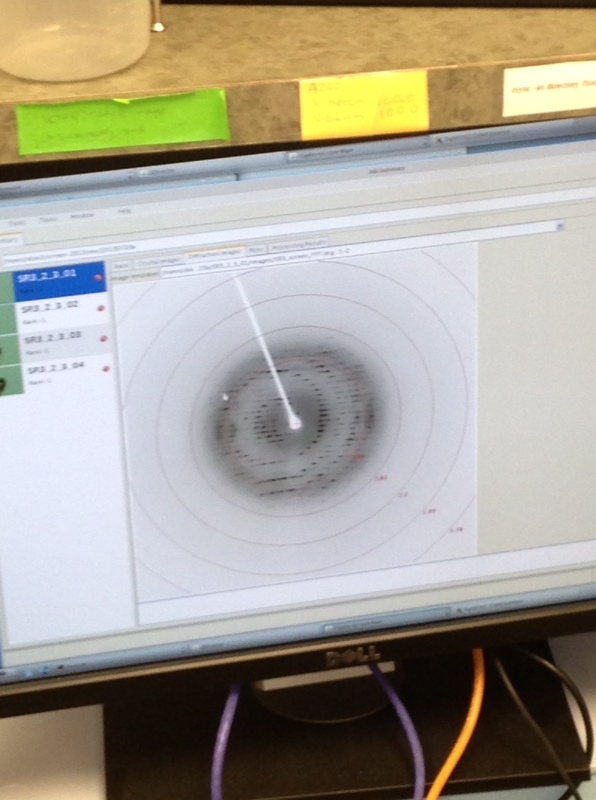 The beast diffracted on the SGC machine but we’ll see the news from the synchrotron beam! Of course I did not say what this protein is… Let me just say this: it is one of the trimethyllysine binding domains. I will elaborate on this in the future (and you will hopefully see where we are planning to take this from here).